Is it can be lolspeak tiem nao, plees? Iz soopr excitd 2 be bak, srsly. Todai, iz rite bout kittehs an teh wai dey speekz on teh internet an stuff, kthx! Oh, that’s right. I’m not a Lolcat. They sure do talk funny, don’t they? There have been a lot of other blog posts and research written about Lolspeak, and in typical form, I’m finally getting around to it five years after the historical founding of icanhascheezburger.com. Obviously, my interest was in the peculiar linguistic construction of Lolspeak, but the more I read, the more I became interested in the sociolinguistics of the phenomenon. Who are these lolcat captioners? What do I have to do to make a good lolcat picture without looking like a poseur? 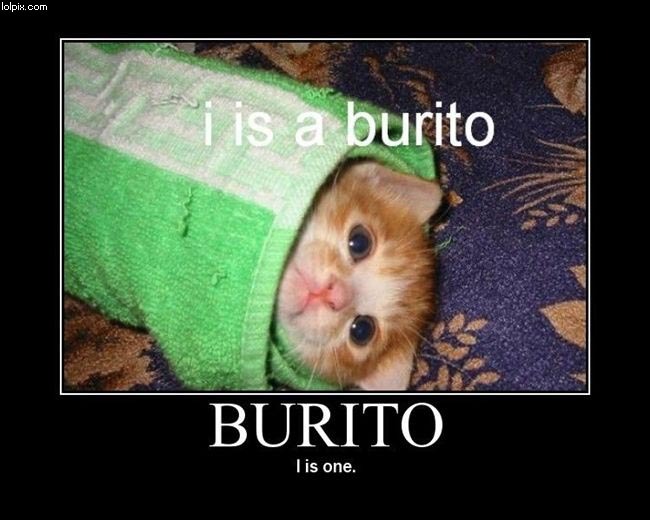 Lefler goes on to describe the probable origin: One of the origin myths of Lolcat is a cat food ad (Figure 1.1), Russian in origin but with English text. This cat food ad was one of the first macros posted for “Caturday” on 4chan, and this supposedly began the Lolcats trend. 4chan, a set of image boards with many inside jokes, anonymous members, and vulgar threads, started Caturday, which was known as the day of the week between Friday and Sunday when (lol)cats would do whatever it was that (lol)cats did (Elle “Caturday | Know Your Meme” 2011). The intended consequence was posting a lot of pictures with napping cats. Many contributors to 4chan would post pictures of cats with captions on Caturday, and these cats made people “lol,” or “laugh out loud.” Caturday became popular enough on 4chan that many associated sites were created for Lolcat macros. Many pages of these websites have dwindled into nonexistence, with the prominent exception of www.icanhascheezburger.com, which showcases the now famous Russian cat food ad (Menning “Happy Cat” 2009) that offers one variant origin myth that reportedly ignited the Lolcat phenomenon. Since that point, the meme has become so successful and popular that it has spawned what is starting to be considered an invented dialect of English. As with other non-standard varieties of English, many people may think that they can just throw in a few misspelled words, use -z instead of -s for plurals and a ‘ur’ instead of ‘your.’ But apparently, there is more to Lolspeak than that, and there are research papers, dictionaries, and even a Bible to prove it! borrow spellings from homophones: the /o/ in ghost sounds like coast, thus…goast. There is no article before dark face or invisible bike. The word order of the question is reversed in I can haz lite? 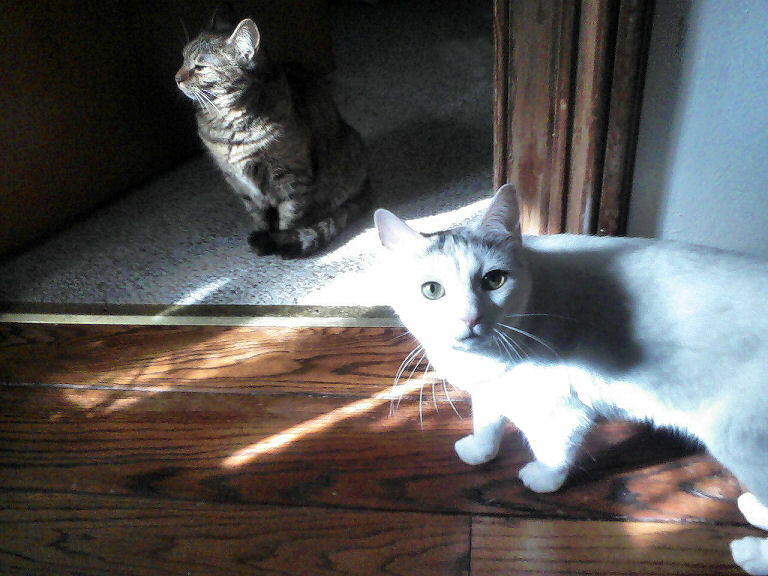 And the subject kittehs doesn’t agree with not tripz, which is also missing the auxiliary don’t. Beyond the grammar of the Lolcats’ language, the most striking feature of Lolspeak is the regular inclusion of what amounts to cultural (or sub-cultural) references. Ceiling Cat, the invisible bike, that kittehs like to ‘eated’ things…these are all things that refer to certain pictures or captions that made it big early and inspired hundreds of variations on a theme. The assumption is that the reader will understand these references because the reader has also presumably spent so much time on the Internet that s/he certainly had to have come across the original reference at some point. Lauren Gawne and Jill Vaughan investigated this idea and presented it in 2011’s Canberra Langfest (“I can haz speech play: the construction of language and identity in LOLspeak” – the presentation is really quite good. The more technical linguistic information comes between about minute 8 to 15. If you’re more interested in the sociolinguistics, watch before and after that point.) Their claim is that “the choice to use LOLspeak has a lot to do with establishing identity—the playful identity of ‘cat’, and the serious identity of ‘knowledgeable Internet user'”. Basically, the features of Lolspeak serve to enhance cats’ charming quirkiness and playfulness as expressed through linguistic clumsiness and overenthusiasm. At the same time, the writers of the captions are proving their creativity, technical savvy, and even linguistic prowess (the way they break the rules implies intimate knowledge of the rules) but doing so in an engaging and humorous way, perhaps even as a way to show how writers may relate to the features they ascribe to the cats. The reliance on in-jokes and references is a way to build and strengthen community. For those who grew up with more face-to-face communication, the use of both the internet and cats for expression may seem too distant, but for others who are much more used to social rules of the internet, it may seem perfectly natural to define group boundaries via Lolcats. So, if anyone wants to prove themselves a skilled, playful, and creative member of the elite (or leet), then go ahead and study your Lolspeak. Then come back and caption my Lolcat girls…if you dare! It’s true – I imagine other languages would be more useful than Lolspeak :) I’m not sure if it’s just an American thing or not. The women who did the presentation on Vimeo that I linked to are Autralian, and I’ve read comments from people I know overseas, so it’s at least reached the non-American English-speaking countries. I think it’s the kind of thing that could go unnoticed for a long time, and now that you know about it, you’ll see it all over the place! Love love love this! I was just reading about the origins of lolcatz yesterday. I think I want to read the entire Bible as translated into lolspeak. That’s my favorite one, too. I had to use it. If you’re on Facebook, you might also want to check out Lolphonology (their page isn’t public, so if you don’t have a FB account, you won’t see much of anything). 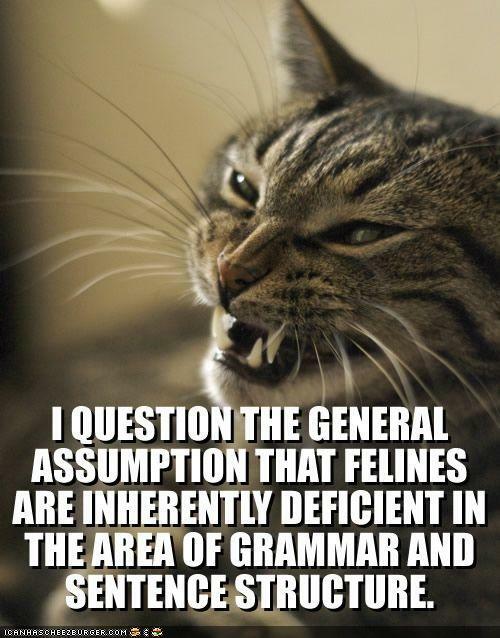 They’ve got linguistic Lol cats! Sorry, I blacked out there a little – reading Lolspeak gives me a headache. Clearly I am just not cool enough. 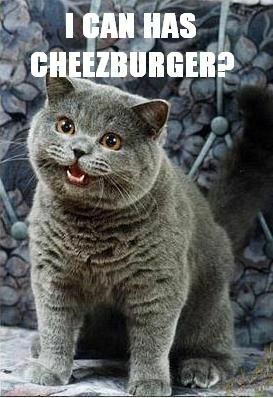 I had no idea there was so much to interest a linguist behind that simple phrase “I can has cheezburger,” but once again you’ve come up with the goods! Thanks for commenting and for subscribing! Hope to hear from you again. Thanks for all the awesome links to other scholarly works done on LOLcats. At the time I wrote my paper, there was very little written on the subject. Thanks for the link. Nice job, given the scarcity of resources you had for research! I think I would have also been all over that topic had it existed when I took my Intro to Ling. class :) (I had to settle for a discussion of language and thought in Newspeak from Orwell’s 1984, which was also pretty cool, actually.) Are you still studying linguistics?